One of the few places one would expect watch items is KickStarter. KickStarter is a way to fund creative projects and allow people to become part of the ground floor of innovative projects. 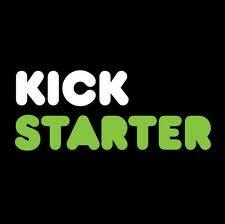 Kickstarter believes that a good idea, communicated well, can spread fast and wide. Leveraging the power of the Internet and the World Wide Web, KickStarter can bring sources of money and encouragement for evolved projects/products. 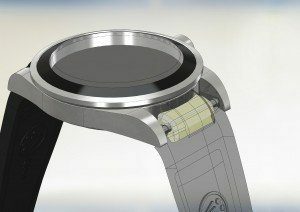 Many associate KickStarter with primarily electronic or computer development, but there are many start-ups that involve watches. One such company is Everest Horology, who turned to KickStarter to bring their Thermoplastic Elastamer (TPE) Rolex replacement watch strap to market. One of the neat things about KickStarter is that investors are not out any money of the project does not reach its goal. Interested watch fans have the opportunity to invest in voice command watches for iPhone and Android, or watches like Henry Watches that utilizes an ETA Swiss skeletonized movement in hand machined case. Everest Horology is utilizing KickStarter to get a wider audience and support for its replacement bands for Rolex. Unike Nato bands, or other rubber strap replacements, Everest Horology is creating a niche for itself by using TPE, an elastomer that is resistant to ultraviolet light and heat and is extremely strong. Unlike traditional silicon-based rubber, TPE is an elastomer that is more expensive to produce, but once dialed in, is extremely consistent with few deformities emanating from the manufacturing process. TPE is used in snowmobile tracks, suspension bushings, weather stripping and other applications that require toughness, reliability, and resistance to deformation. Other watch companies use TPE straps in their diving and sport watches, but few mention it because the marketing department can’t describe it easily; it is much easier just to say the strap is made of rubber. Why replace the Oyster Bracelet? Rolex’s modern Oyster bracelet is one of the most recognizable in the world. 316L or 904L stainless steel used in these bracelets are highly corrosion resistant, appear warm, and are extremely durable. The only drawbacks to them are that some think that they feel heavy and that under heavy perspiration the Oyster bracelet leaves black marks. Adding a silicon or TPE strap lightens the watch, and there is no black gunk when wearing during sports events. Everest Horology designed their strap such that it still utilizes the existing Rolex clasp and easy-link, and fits the watch head precisely without any gaps just like the solid end link found on modern Rolex bracelets. 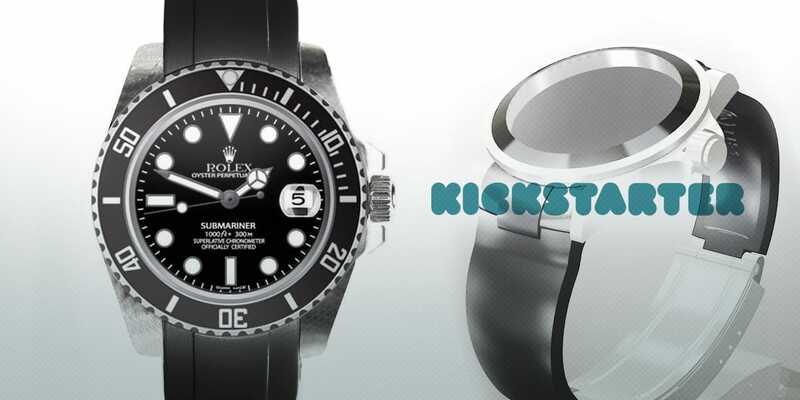 Take a gander at KickStarter as there are more watch ideas there as well. Over the course of the last week, A Blog to Watch published a review, and SlashGear discusses how the strap was designed.